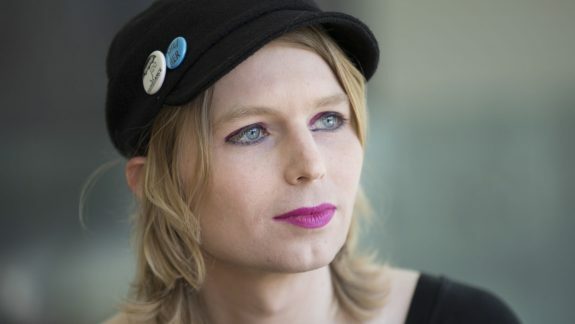 Manning, whose 35-year sentence was commuted by the Obama administration in an act of seeming leniency, is indivisibly linked to the WikiLeaks legacy of disclosure. She was the source, and the bridge, indispensable for giving Julian Assange and his publishing outfit the gold dust that made names and despoiled others. The sense of dredging and re-dredging in efforts to ensnare Manning is palpable. She insists that she had shared all that she knew at her court-martial, a point made clear by the extensive if convoluted nature of the prosecution’s effort to build a case. “The grand jury’s questions pertained to disclosures from nine years ago, and took place six years after an in-depth computer forensics case, in which I tesified [sic] for almost a full day about these events. I stand by my previous testimony.” Before Friday’s hearing, she also reiterated that she had invoked the First, Fourth and Sixth Amendment protections. The independence of that body of peers has been clipped, modified and fundamentally influenced by the prosecutor’s guiding hand. The federal grand jury has essentially become a body easily wooed by the prosecutor in closed settings where grooming and convincing are easy matters. The prosecutor can also be comforted by that level of procedural secrecy that keeps the process beyond prying eyes; Federal Rule of Criminal Procedure 6(e) makes the point that the jurors and government attorneys “must not disclose a matter occurring before the grand jury.” Sealed and confined, the participants accordingly forge a narrative that tends to encourage, rather than dissuade a finding, of guilt. She will be confined till the conclusion of the investigation, or till she feels ready to comply with the subpoena. Manning’s defence counsel Moira Meltzer-Cohen is convinced that the very act of jailing Manning is one of state-sanctioned cruelty. There is a distinct note of the sinister in this resumption of hounding a whistle-blower; yet again, Manning must show that the virtues of a cause and the merits of an open system demand a level of cruel sacrifice. “This ain’t my first rodeo,” she told her lawyer with some reflection. This rodeo is one dogged by problems. Manning’s original conviction was a shot across the bow, the prelude to something fundamental. Journalists long protected for using leaked material under the First Amendment were going to become future targets of prosecution. Such instincts have seeped into the US governing class like stubborn damp rot; consider, for instance, the remarks of Senator Dianne Feinstein in 2012 on the issue of leaks discussed in The New York Times. Having published details of the Obama administration’s “Kill List” and US-orchestrated cyber-attacks against Iran, the paper had “caused serious harm to US national security and… should be prosecuted accordingly.” While The Grey Lady might prefer to distance itself from WikiLeaks in journalistic company, prosecuting authorities see little difference. This latest rotten business also demonstrates the unequivocal determination of US authorities to fetter, if not totally neutralise, the reach of WikiLeaks in the modern information wars. Having been either tongue-tired or reticent, US officials, notably those in the Alexandria office, have revealed what WikiLeaks regarded as obvious some years ago: that a grand jury is keen to soften the road to prosecution. Good on him/her. A lot braver than those that persecute this true truth warrior. I know it is easy to say but, I would do the same. I would give the whole process the contempt it deserves. These whistle blowers are trail blazers they have set the rot that will bring this whole corrupt edifice to its knees. Unfortunately, I wont live long enough to see the second storming of the Bastille. Hmmm …… another very good reason for Australia to remain distinct from the influences of the US legal system and its too many faults. Chelsea Manning is a real people’s hero!! Such State political persecution & abuse of process is less likely to achieve its aims in the Internet age … political martyrs ain’t a good look. Strength & great respect to Ms Manning, in taking a second moral, conscience & principled stand at great personal cost & self-sacrifice. Especially so considering she knows from bitter experience exactly what she’ll again be forced to endure at the gentle hands of the State.. The Americans make a mockery of justice with events like the kangaroo court invoked against Chelsea Manning. USA the epitome of injustice and abuse of power, where you can be harassed, tried and convicted multiple times for the same offence or group of offences. Why doesn’t the constitution protect her, why is it not upheld? What hypocrisy, a real fucked up country screwing us all hiding behind its own tails of national security! Ha ha ha US you don’t fool the rest of the world, just your own idiot citizens who are unable to think for themselves, have no moral compass or so blinded by their religion, including money and power, they don’t even recognise their own skin.